Abstract—This research aims to develop a model of learning in life skills education program valid for rural communities to improve the competitiveness of local seed. The study was conducted by the Research and Development (R and D). The learning process developed is focused on five components: a) syntactic pattern learning, b) social systems and norms prevailing atmosphere of learning, c) reaction of the management pattern of learning interaction, d) support systems, facilities, materials and learning environment, e) the impact of the companion instructional and learning outcomes. The research location is determined based on the geographical characteristics, the mountainous region of Wonosobo, Kendal coastal areas and industrial centers lying areas Pekalongan. Data were collected through observation, interviews and documentation. The validity of the data by testing credibility include: triangulation, perseverance observation, discussion with colleagues, and then the data is processed by descriptive qualitative. This study resulted in the conceptual design study model based on the four pillars of education life skills education program. Index Terms—Life skills education, models of learning, the four pillars of education. Tri Suminar is with the Departement of Non-Formal Education, Faculty of Sciences Education, Semarang State University (UNNES), Semarang, Indonesia (e-mail: minar_pls@yahoo.co.id). Titi Prihatin is with the Department of Curriculum and Educational Technology, Faculty of Sciences Education (UNNES), Semarang State University, Semarang, Indonesia (e-mail: titi.prihatin.oce@gmail.com). Muhammad Ibnan Syarif is with the Department of Fine Arts, Faculty of Language and Art, Semarang State University (UNNES), Semarang, Indonesia (e-mail: ibnan_syarif@yahoo.co.id). 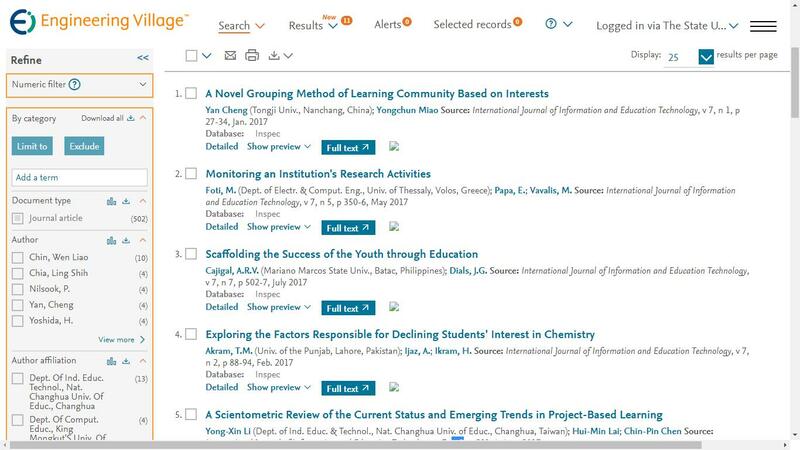 Cite: Tri Suminar, Titi Prihatin, and Muhammad Ibnan Syarif, "Model of Learning Development on Program Life Skills Education for Rural Communities," International Journal of Information and Education Technology vol. 6, no. 6, pp. 496-499, 2016.